Promoting health and wellness within the community. Offering the same exceptional care in the comfort of your home. Solution-oriented team ready to help with your needs. Compassionate care for your fur babies. Providing low stress handling with top quality medicine. Diagnosing disease with skill and precision. Come meet our amazing team here at Premier Vet Care animal Clinic! We always treat our wonderful clients and patients as if they are a part of our Premier Family. We understand the deep bond between a pet and his or her family, and we will love your pet the way that we love our own. We will ensure that you feel welcomed, informed and appreciated, and that your beloved pets will feel loved, well-cared for and full of treats! From the minute you call until you are ready to leave with a smile on your face and a pep in your pet's step, you'll find that the Premier team is kind, gentle, caring and respectful. Our dedicated team is committed to bringing you and your pets the best medicine with less stress and more quality care. We are here to answer your questions and address each of your concerns. Whether you are a new client or have been with us for years, we welcome you to our family! 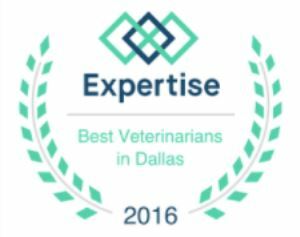 We are a full-service animal hospital serving Rowlett and the surrounding areas. We provide compassionate and outstanding medicine for dogs, cats, birds and exotic pets. Whether your pet needs vaccinations, grooming, bathing, surgery, dentistry or day-to-day preventative medicine, we are here to assist! In addition to regular veterinary care, Premier Vet Care offers a variety of services that ensure the best diagnostic capabilities and treatment for your pet including ultrasonography, digital radiography, elective and specialized surgeries, pain management, preventative in-house lab work and internal medicine consultations. We are excited to be a valued member of your pet's health care team! 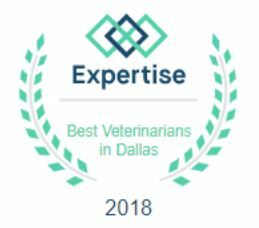 Our veterinarians will work with you to devise a total health plan for your furry, feathered or scaled family member so that your pet will live a long and happy life. You can call us at (972) 463-8387 to schedule an appointment at your convenience. We understand that dogs and cats might not always get along. For your convenience and your pet's peace of mind, we have separate exam rooms for dogs and cats. We are also aware of how demanding jobs with crazy schedules can be, and that is why we offer early drop-off and late pick-up times along with house-calls. Our veterinary hospital is conveniently located just seconds from the intersection of George Bush and Lakeview Parkway. Call us or come visit to see how our fantastic team can help you today. At Premier Vet Care, you and your pets are our family! After graduating from the Ohio State University College of Veterinary Medicine, Dr. Josh moved down to Texas as fast as he could. Dr. Josh is a second generation veterinarian. He grew up on a small farm in Ohio, where he spent most of his childhood traveling with his father treating all kinds of animals and talking to local farmers. Dr. Anna Simmons is a long-time animal lover and advocate. In fact, she started rescuing animals at a young age, and her passion for animal care and welfare has only grown over the years. 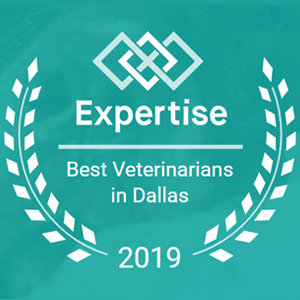 Dr. Anna grew up in Coppell, TX, with her four siblings and their many animals, from fish and rats to dogs and horses. She dreamed of being a vet since a very young age and feels so blessed to have been able to accomplish that dream. Dr. Kirsten Stukey, Texas born and Oklahoma raised, earned her veterinary degree from Oklahoma State University. Along with her passion for animals and medicine, Dr. Stukey chose this career because she loves being able to help people foster healthy, rewarding relationships with their pets. Dr. Anna Stewart was born and raised in Springfield, Missouri. She has always loved animals and developed a passion for medicine as she spent time working in veterinary clinics. She obtained her Bachelors of Science from the University of Arkansas and her Doctorate of Veterinary Medicine from the University of Missouri. Her favorite part of practicing medicine is creating relationships with clients and their pets. Born and raised in Winter Park, Florida, Dr. Jacqueline Shen always knew she wanted to be a veterinarian and pursued every opportunity to work and play with animals even though her parents were allergic to fur! She attended the University of Florida for her undergraduate studies and gained experience with a variety of species (including elephants). Dr. Jacqueline then earned her degree from the University of Florida College of Veterinary Medicine, making her a proud double Gator. 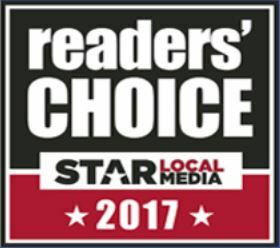 We are proud to announce that we have been selected as a Nextdoor Neighborhood Favorite for 2017 and 2018! 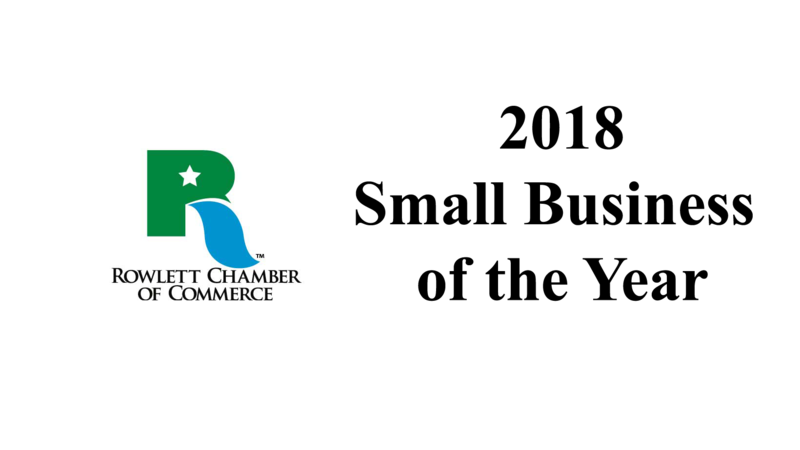 Just 1% of businesses earn this distinction celebrating and recognizing the best businesses in local communities. This is the best vet clinic I have ever been to. I love the staff. Everyone is so kind and caring. I have nothing but good things to say about them. I have 4 dogs at all different ages. All the Doctors are always patient and understanding with all my questions. I will continue to go here for years to come. Premier Vet Care Rowlett has the most compassionate doctors and employees I've ever had the pleasure of dealing with. You can tell by everyone's demeanor that they truly care about all the patients they see and they are very professional when dealing with the animals and their owners. The facility is always spotless and smells fresh and clean as well. Its always just a good experience! I took in my puppy this week. The staff and Dr. Kirsten were amazing. Dr. Kirsten took the time to make sure she answered all my quearions regarding my dog. An awesome staff member, I want to say her name was Diane, was extremely helpful and not only opened the door when she saw me come up to the door pushinf my son in his wheelchair and carrying the crate but offered to carry the crate after the appointment so it was easier to load up my son. This place went above and beyond and I can't wait for them to take care of my other pets as well. We absolutely love Premier! The staff loves the animals that they work with and it shows. The staff is top notch and we’re so happy we’ve found them! We’d recommend them to anyone! Dr. Cope is an amazing vet! He took time to go over every detail of my dog's exam and answered every question I had. He actually cares about my pet - not just making money! So refreshing! The staff is friendly and professional and always remember my pet's name! And the cost can't be beat - Premier has to be the most affordable vet around! Love Premier Vet Care in Rowlett. Dr. Josh and Dr. Anna are so caring and compassionate. The entire staff are so kind and helpful! Highly recommend them! Very caring techs and doctors. The front desk assistants are so kind too. Amazing place! Love this place! Had to find a new vet and this place fits the bill. Reasonable pricing and an excellent staff that really seems to care about your fur babies. They take the time to explain everything. A must recommend for sure. There just aren't enough wonderful things that I can say about the love and care that my dog receives here, both when receiving vet care and grooming services. No matter where I live, there is no other place that my pets will ever visit than here. I am so pleased with Doctor Kirsten Stukey. She was so helpful in assisting me with my baby dog, Tia. I really am glad I came to this veterinarian clinic. I will not anywhere else! Everyone was very friendly and took great care of my Dolly. Dr. Jacqueline was very sweet and patient and answered all my questions. I would highly recommend them to anyone. We love Premier Vet. Every employees there is friendly, caring and truly love animals. The doctors are thorough, always explain fully any treatment, give you the cost, and discuss any options. The place is always clean and the environment is welcoming. We will not go anywhere else. Every single person that works here is amazing. They are all so nice and genuinely care about my pets. They continuously go the extra mile to provide the best care. The doctors know what they are doing and give you several options for treatment. The staff calls to check up on my dogs after visits and it means so much to me. Going to the vet is not always the most fun experience but everyone at Premier makes it the best it could possibly be because the staff is so kind. I have no doubt that my dogs are getting the best health care possible when we go here and I’m so glad we found them! My family and I absolutely LOVE Premier Vet! They take such fabulous care of our fur baby, and he gets excited when he gets to go to the vet. That tells it all right there! They are so kind and helpful no matter if you are there for a grooming, routine check up, or illness. Always the same level of care and kindness! The groomer is FANTASTIC as well. Highly recommend her! Not to mention the incredible philanthropic work they do. I can't imagine taking my baby anywhere else. Keep up the good work Premier Vet! I work as a Veterinary Technician at another clinic and when my dog needed an ultra sound I was stuck because my clinic doesn't have an ultra-sound machine. Everyone was very nice and, Dr. Josh took his time explaining everything! He even went through what we where looking at on the ultra-sound while he was performing it. I was also thoroughly impressed that when he suggested that we take laparoscopic samples of the spleen to rule out cancer 100% that he could do so in house that day! I highly recommend Dr. Josh and his team for your pets health care. We couldn't be more happier to have a good Vet for my puppy. Dr. Stewart is the best vet, we've came across since having dogs. She is very caring, & even called to follow up on our dog to see how she was doing on our very first visit. We've been here 3 times already & it's been nothing but, pleasant. All the staff is very friendly & always want to keep my bloodhound Coco lol Totally recommended!! The staff has been incredible at both of our visits! They are very informative and have been so kind to our fur baby. We cannot recommend this clinic more! My furbabes have been established w Premier Vet Care for a couple of years now. We all adore Dr. Anna and all front staff is wonderful. Dr.Anna is always so caring, and gentle with our girls and she is always thorough when going over a treatment plan. We've seen them for routine care, vaccinations and heartworm treatment. Meredith , Diane, Dee and Emily have always been super patient in explaining any billing questions, rescheduling appointment times etc. Tempa and Candy appreciate all of you guys at Premier Vet Care! We are so impressed by the entire team at Premier Vet Care Animal Clinic. From the front office staff to the vet techs to the doctors, each one of them goes out of their way to make you feel valued and appreciated. They are are knowledgeable and experienced. Their love for your pets comes through in everything they do too! We wouldn’t trust anyone with our four fur babies! Love the doctors and friendly staff. I appreciate how you can tell they really care and are concerned with my furr baby. I never feel rushed like as if there in a hurry to get me out and on to the next. They always take there time to answer any questions I have and are very gentle with my furr baby. I have always taken my pets to Premier Vet Care over the past few yrs when I had other dogs and will always refer and continue to go there. Thanks for always making it a great visit every time we go! Premier Vet clinic is truly the PREMIER clinic. Their staff is courteous and professional. The clinic is clean and the vet techs are very caring. Dexter doesn’t even mind going to the vet! I absolutely love Premier Vet Care! I've been taking my dog there since he was a puppy and they always have great customer service and are very knowledgeable. Another thing I like is that they don't try to sell you anything unnecessary. As long as I live in the area, I will be taking all future pets here! "We absolutely love Premier Vet! Everytime we have gone there is hardly a wait and we are always in and out so quickly. I appreciate the the staff as they treat my dog as if it were their own and gain is trust with treats, needless to say my dog loves going to the vet know because he associates them with treats. Now that we have moved further away we still keep Premier Vet because we haven't found any other vets office like them and one that my dog willingly loves to go to. Thank you Premier Vet for all that you do!"